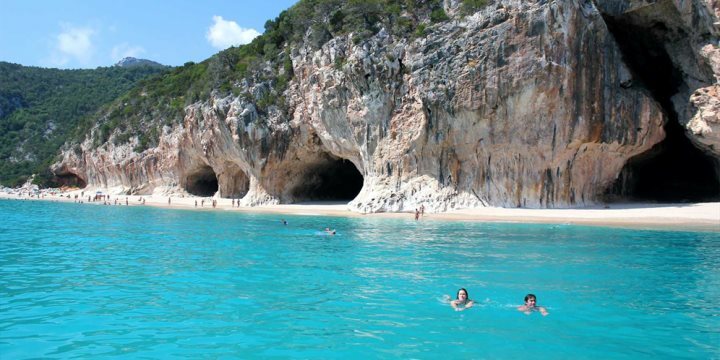 Sardinia's spectacular coastline boasts endless bays and coves with white sand beaches and crystal-clear emerald water. The island's beaches are genuinely some of the best the Mediterranean has to offer. 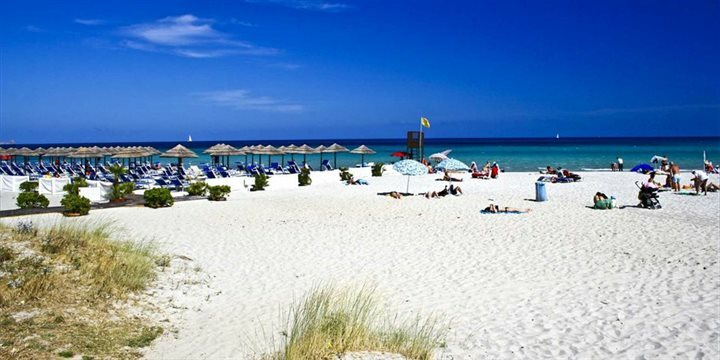 It is beautifully varied with dramatic limestone mountains dropping to secluded coves in the east, sand dunes in the west and glorious beaches to the north and south, most with gently shelving shorelines and shallow waters - the beaches in Sardinia are perfect for all ages, including young children. 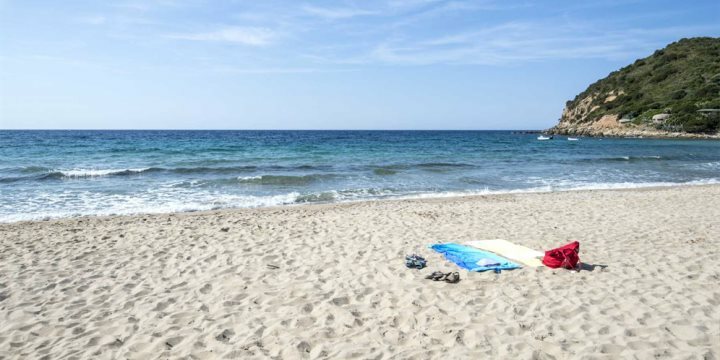 The beaches are also incredibly clean and whether you're in one of the secluded bays or on one of the busier town beaches you will always find a very good standard of cleanliness - both in terms of the beach itself and in the quality of the water. A good range of water sports are available on most coasts during summer, including waterskiing and windsurfing. 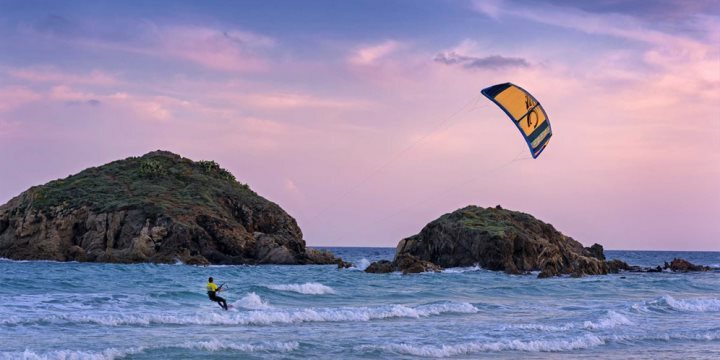 Porto Pollo, near Palau in the north is a favourite spot for surfers and also the place for kite-surfing. Sailing is another popular pursuit, particularly around Alghero, the Costa del Sud, the Costa Smeralda and the Maddalena archipelago, however most will have to make do with joining a group with a full crew. 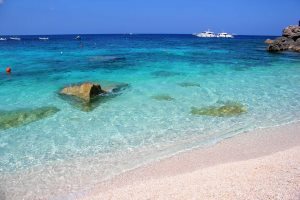 Sardinia is also one of the Mediterranean's best locations for diving and there are local outfits offering tuition and excursions with full equipment provided. Rather than give a long list of beaches we have broken them down into regions - just click on the links to select your choice. 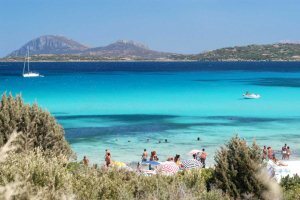 Please be aware that this is far from exhaustive, we've just tried to give a flavour of the breathtaking beaches Sardinia has to offer. - The Capriccioli headland has five beautiful small sandy beaches. There are facilities for boat hire and also a bar close to the beach. These beaches, including La Celvia, are amongst the most popular in the area. - Just before the Hotel Cala di Volpe is the beautiful Liscia Ruia, an extensive sweep of white sand set down a long unsurfaced road. 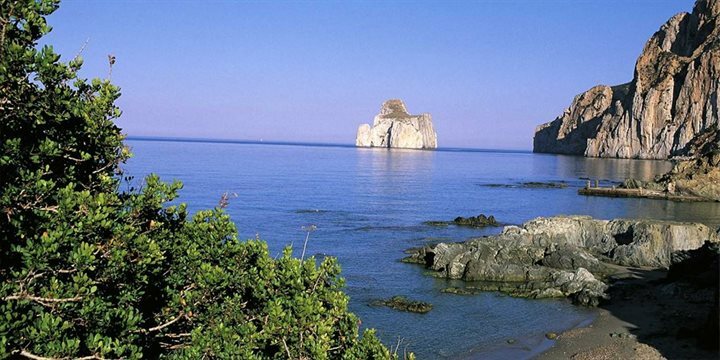 - Rather off the beaten track is the Spiaggia del Principe which cannot be reached by car. The last stretch has to be done on foot takes under 10 minutes and is well worth the effort. - Piccolo Pevero is a small sandy beach with parasol and boat hire. It also has a restaurant (“Il Pulcino”) and a bar. 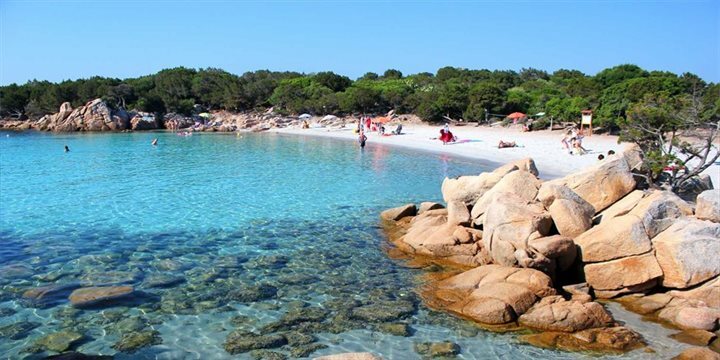 - The Pitrizza beach at Liscia di Vacca just north of Porto Cervo is also popular. 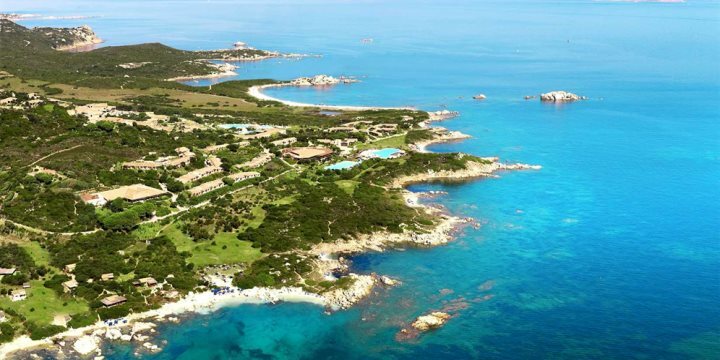 We have some great properties to choose from in Costa Smeralda and the North East - take a look. 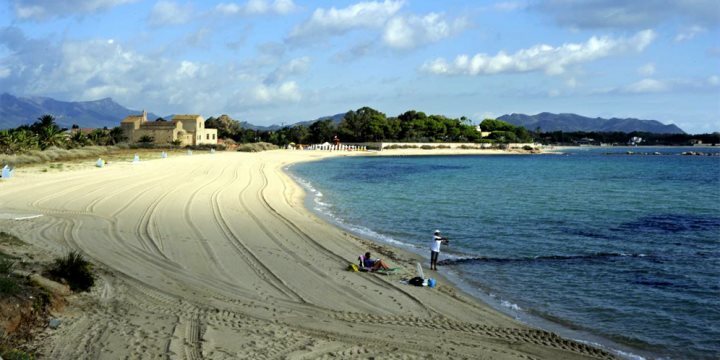 The Maria Pia beach in Alghero is a beautiful sandy bay backed by pinewoods. More beaches are to be found as you journey further around the bay of Alghero and around Porto Conte bay and beyond it. On the way to Porto Conte, just past Fertilia, try the beaches of Lazzaretto with superb views across to Capo Caccia and Le Bombarde, a strip of pure white sand bordered by crystal clear sea. Just to the south of Alghero is Speranza Beach, with its beautiful strip of golden sand. Beyond the headland of Capo Caccia there is a lovely long beach at Porto Ferro. Stintino, the north-western point of the island, has some fantastic beaches, including the almost tropical Pelosa. Find out about all the fantastic things to do and see during a holiday in Alghero. Take a look at our accommodation in Central Sardinia, promising a memorable Sardinia holiday. Nora beach is a pleasant sandy beach which extends south of the Roman ruins of Nora. A popular destination for the townsfolk of Pula. It can be crowded during the hottest months. St Margherita is a long sandy beach which encompasses the summer resort of Forte Village Hotel and Abamar Hotel. Beach facilities are good here if you want to hire a speed boat or a sea scooter. Chia is a dazzling beach and is perfect for those who love long sandy beaches. This idyllic beach, recently voted the 5th best destination for a beach holiday in Europe, has fine sand and is fringed with sand dunes. There is a growing number of ice cream booths which have appeared over the years where you are able to buy refreshments. Unfortunately this is a beach to avoid when the mistral wind blows as the sand is swept across the beach at very high speed and can be quite painful! There are facilities here to hire windsurfs and sea kayaks. 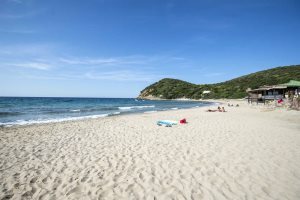 Amongst the most beautiful beaches of the Carbonara Gulf are towards Villasimius: Porto Sa Ruxi, Cala Piscadeddus, Campus or Foxi, Campulongu Beach, Spiaggia del Riso. 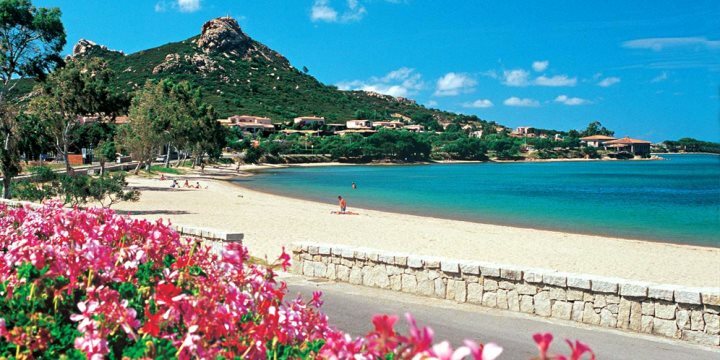 Take a look at our fantastic range of accommodation located in Southern Sardinia.